BEAUTIFULLY UPDATED! Almost everything new inside and out. New siding, fascia, & seamless gutters. Jeld Wen doors & windows throughout. Updated Bathroom and Kitchen fixtures feature polished nickel faucets & hardware. Matching stainless steel appliances, laminate flooring, LED lighting throughout & much more. 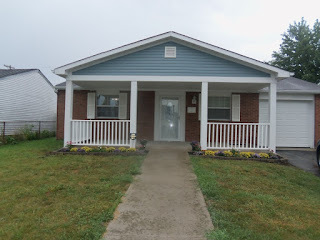 Beautiful covered front porch & large back yard with charming covered porch. This is a must see! 3 BRs & 1 Bath. Nearly 1,300 SF. Only $94,900! Call DeLena today!